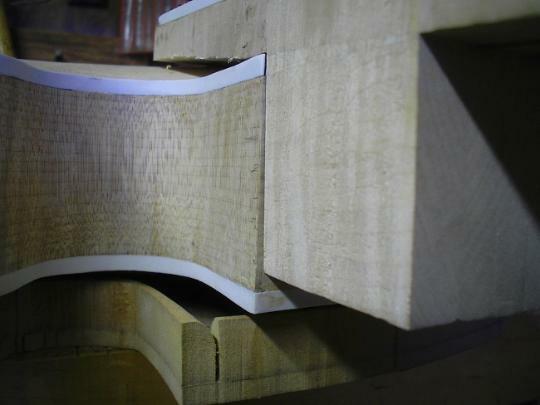 headstock are now fully bound and ready to receive tuner holes and frets. and work out some irregularities in the body profile. 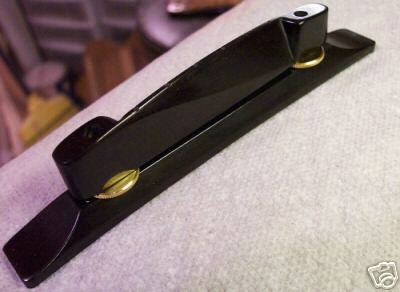 for the suspended humbucker. 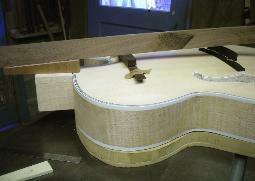 Then I'll glue the neck to the heel and start profiling the neck. of the keyhole down the center of the neck to see if it aligned with the center seam of the top. And it did! I'm stoked. 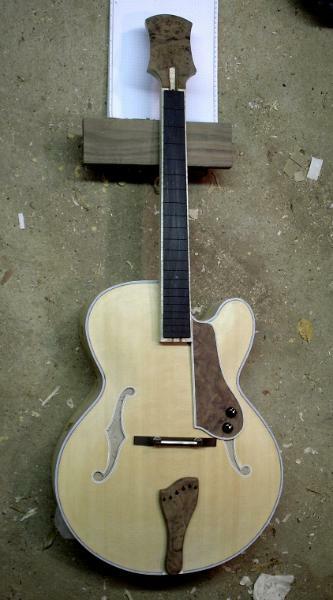 That was NOT a given, considering all that has gone on with this guitar. should be cooking again in a couple of days. I fit it to my top. The base was plenty thick enough to adjust to the steep curve of my top, so all is well. So today I finally got to the point where I could determine more or less for certain the neck angle I require. 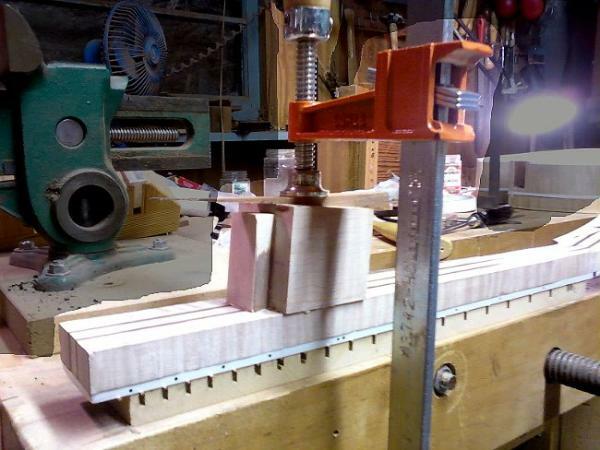 arrive at a height of 5/8" at the last fret. 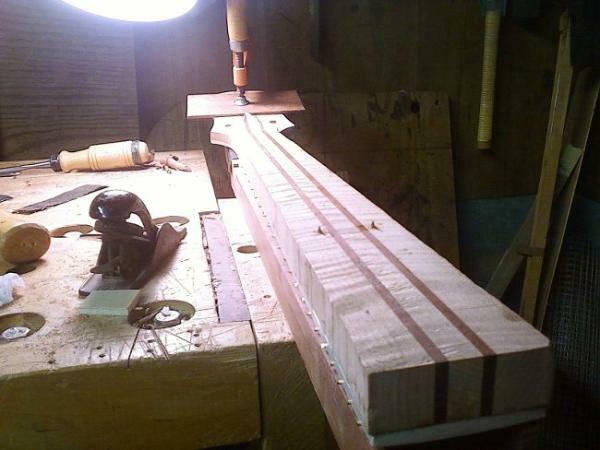 a shade over 5/8" at the fretboard end. he can give me some tips. 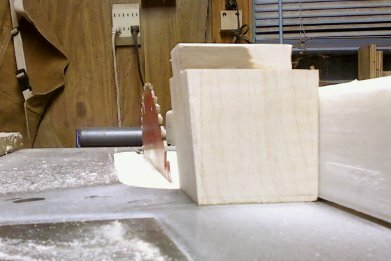 the shoulder, removing about 5mm from the top of the heel at the shoulder. The brown on the dovetail is veneer. Hey, everybody does it. get nails in them from the top. goes in the clamp, so this whole assembly will stand proud, giving me plenty of room for neck carving. least I can hear the crowds at the finish line! 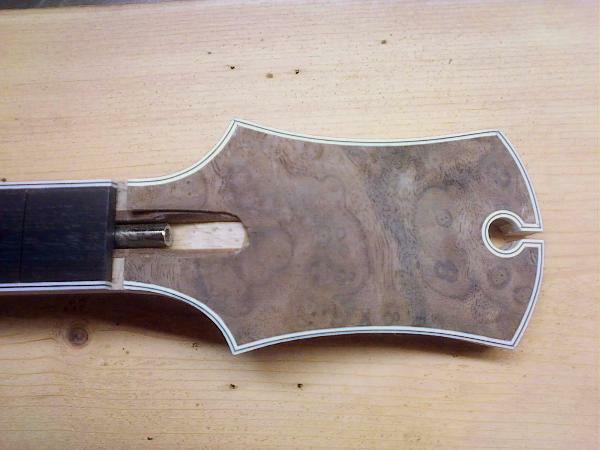 nice and flush between the side and the heel. 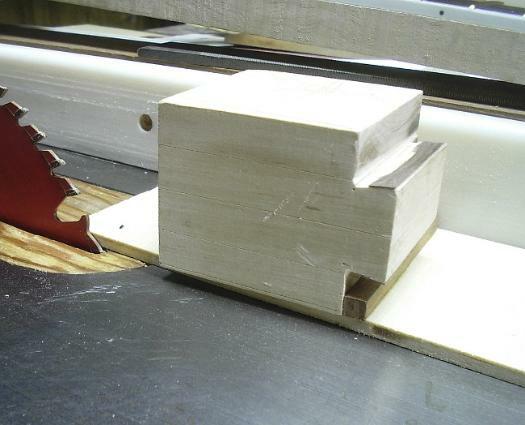 screw) to secure the heel when I make the cut. possibility of it sliding around and it went fine. is the neck angle, which is what all this (right) was about.